The first time I ever played a WarioWare game, I was drunk. Even so, I remember it pretty well. It was March of 2003, and I was living in Kyoto, Japan, about a 20-minute walk from the building where they made WarioWare. Every so often, I’d take the train down to nearby Osaka to meet a friend, buy video games, eat curry, and finish the night off at an Irish pub called Murphy’s. The pub introduced us to the offensively-named drink called an Irish Car Bomb. You make an Irish Car Bomb by dropping a shot glass full of Jameson and Bailey’s into half a pint of Guinness. You drink it by just tipping it all into your mouth in one go and hoping the shot glass doesn’t slide down and hit you in the teeth. I was 22 years old, and this seemed like a good idea. After a few of these, I left Murphy’s, hopped the last train back to Kyoto, and started looking through my bag of video game purchases. With an hour of traveling to go, I pulled out the big one: Made In Wario, a Game Boy Advance game from Nintendo that would be released a few months later in the U.S. as WarioWare, Inc. Yes, the classic hot dog jump is back. I already knew that this game was composed of a string of rapid-fire “microgames” that each took mere seconds to play. I did not appreciate just how fast one’s reaction time would need to be to play them. I remember losing the games and not even understanding why I lost them. I put Made In Wario back into my bag and returned the next day. With my brain’s faculties returned to normal, I found a delightfully original gameplay concept that embraced a weirder sense of humor than did the comparatively blasé and inoffensive Mario and Zelda games of the time. WarioWare became a series in short order, quickly followed up with a pair of sequels that came out within months of each other: WarioWare Twisted for Game Boy Advance, which had motion-control hardware built into the cartridge, and the self-explanatory WarioWare Touched for the Nintendo DS. The obligatory Wii version followed in 2007, but the series mostly went dark until 2010's WarioWare: DIY, which was a brilliant make-your-own-microgames tool that didn’t find a big audience. This week, we get the first WarioWare in nearly nine years, WarioWare Gold for 3DS. Conceptually, it’s the least ambitious entry in the series so far: Rather than showcase a new way to play with microgames, it’s a greatest-hits compilation of 300 microgames, mostly from previous games but with some new ones. Tapping, twisting, touching, and (sigh) blowing into the microphone are all represented here, though the latter is thankfully underrepresented. While Gold gives you many different ways to remix these games, at its core it’s still a collection of decade-old concepts that doesn’t do anything new with them. Here’s how a WarioWare game goes: After a story scene that sets up Wario’s latest plan to get rich quick by making low-budget video games, you start playing small collections of games that are bookended by story scenes featuring characters such as Mona the pizza delivery girl and Jimmy T, WarioWare’s version of Disco Stu. The wrinkle in Gold is that these scenes are now fully voice-acted. This doesn’t affect things much, although if you’ve ever heard one of voice actor Charles Martinet’s extended improv Wario riffs, usually punctuated with lots of thbbbbbpts, it’s nice to have one of those long-form performances enshrined in an actual game. Tiny versions of Nintendo classics like Balloon Fight make up a sizable number of the 300 microgames. Another difference: Rather than drop you into a round of microgames as soon as you start playing, Gold asks you to make a choice: Mash, Twist, or Touch? Initially, the games are divided up by control scheme, with three separate tracks to follow. This is smart, as it doesn’t make you shift back and forth between control schemes in the two-second intervals between the end of one game and the start of another. Eventually it does make you do this, so warm up your “holding a stylus at the ready with your finger while your thumbs are on the buttons” claw-grip. But you won’t have to deal with this added complexity before you’ve had plenty of time playing the games in their silos. For now, pick a track, and at that point, if you’ve ever played a WarioWare before, you’ll know how things go. You’ll get brief instructions, see the game in front of you, and have mere seconds to carry out the instruction. Jump on the Goomba! Shove the finger in the nose! Shoot the alien! Count the moles on a person’s face! Chomp the watermelon! Catch the baseball! It’s all randomized, so you never know what game is next until a split-second before you have to play it. It’s a beautiful way of making complexity out of simplicity. It is also, quite often, a remembrance of Nintendos past. Many microgames are tiny segments snipped directly out of 8-, 16-, and 64-bit classics. There’s one Nintendo-only chapter for each of the three control schemes, in fact, each with its own character story. Joining Nintendo nerds 9-Volt and 18-Volt this time around is… 9-Volt’s mother, 5-Volt, last seen in Wii U’s Game & Wario interrupting the kids’ after-hours game time with her Mom death stare. As is appropriate for a series that is now 15 years old, Mom is revealed to be not just a bedtime-enforcing killjoy but a classic gamer herself. I don’t know what’s happening here either. Finish the main game, and you’ll still have more to do. Exactly how much more depends on how committed a Warioteer you are. Most players would likely want to go back to the earlier levels and try to set a high score. The first time you play through a level, it ends once you clear the first “boss” microgame, and by then you likely won’t have seen all the different games in that section. So you’ll want to go back and try it again in what is effectively “Endless” mode, with the games ramping up in both speed and complexity, until you lose all your lives. You could also try your hand at one of the game’s various Challenge modes, which take all the microgames and put them into different wrappers that increase the difficulty. It could be as simple as an endless mode that mixes all four types of games and only gives you one life, or something like “Wario Interrupts,” a mode in which Wario does various things to impede your visibility, like cover the screen in globs of paint that you can wipe off with the stylus while you’re trying to play microgames. In the “Sneaky Gamer” mode, you play microgames while watching out for your mom. If she comes into the room, you have to hold the L and R buttons to pretend to sleep. And yes, “Sneaky Gamer,” the aforementioned Game & Wario mode in which you have to play microgames while avoiding your mom’s watchful eye (holding L and R to pretend to sleep when she comes into the room), makes an appearance here, too. Playing microgames in any of these configurations give you Coins, which you can spend in a virtual capsule machine to unlock all sorts of collectibles of various quality. You can get “phone numbers” that you can dial to read a series of barely-interesting text messages. Or virtual cards with the game’s characters on them. You can also unlock minigames, slightly larger challenges that don’t really rise beyond the level of “simple time-waster.” And you can (naturally) unlock a little virtual Nintendo museum, item by item, with photos and basic descriptions of classic Nintendo products going back to playing cards and plastic toys. All of this is tied together with Missions, which are basically a lengthy list of Achievements that reward you with Coins for many different things, such as setting high scores or accomplishing certain things in the various micro- and mini-games. There are a lot of these, so if you want to go deep, you can go deep. It's still a really good concept. Voice-acted scenes are funny. Many, many things to do. No radical new ideas of the sort you'd expect from Wario. Mostly a reliance on old ones. Finished main game, unlocked all of the microgames, unlocked many but not all of the collectibles. About 10 hours. But will you? 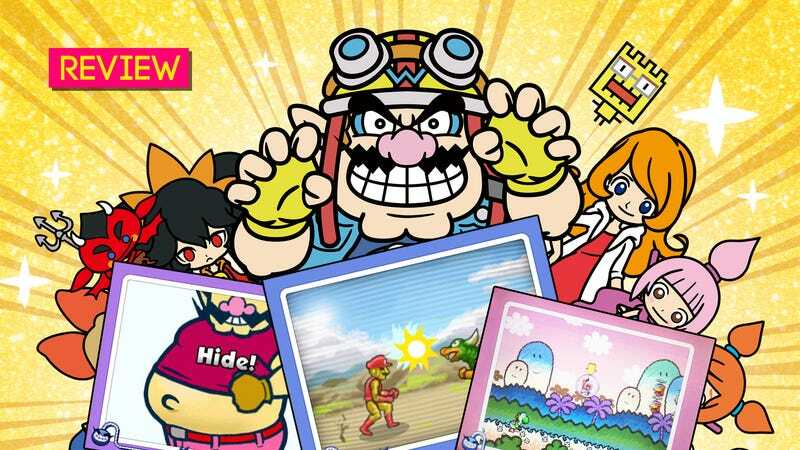 For me, it’s hard to shake the feeling of “been there, done that” with WarioWare Gold, since the backbone of the whole thing is a series of games that, if you’ve been following along with the series all this time, you’ll already be quite familiar with. The unexpected humor isn’t as striking when it’s expected. WarioWare Gold certainly brings back the pleasant memories of playing the nose-picking game for the first time 15 years ago, but it can’t bring back the feeling of doing it for the first time: You shove one finger into an oversized nostril, you’ve shoved ‘em all. Drunk or not, players who first tried WarioWare many years ago were hit with an enticing confusion that’s hard to replicate in 2018. Nintendo has said that it wants to keep the 3DS around, even in this era of Switch, because its low price and portable-first design make it a good starter platform for kids. 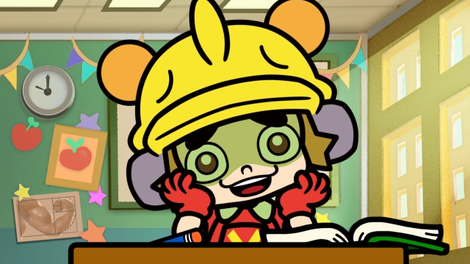 With that in mind, WarioWare Gold makes a lot of sense to release right now, since there are plenty of kids to play it who weren’t even born when DIY came out. Adults who’ve been with the series all this time might find it to be a little too reliant on the old formulas. Update, 8/3/2018 6:25 PM: The opening of this story has been edited since publication in an effort to be clear to any prospective readers that the name of the alcoholic drink referenced in the story is considered by some to be problematic, as it references and makes light of real-life violence.